I had the pleasure of interviewing Jun-His and Ontto of Oranssi Pazuzu at their very first US show at St. Vitus Bar in Brooklyn, NY 2 days before they hit Maryland Deathfest. 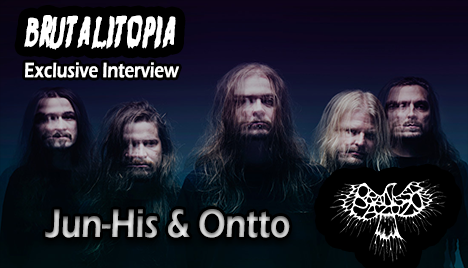 We talked about expectations for a US show, making a name for themselves in Finland, Roadburn, and overall fan reception to their style of play. Also joining in on the interview is Nine Circles contributor and fellow Finn, Zyklonius.